Learn more about the Fellowship in Research and Applications for Social Change Grant. Healthcare patients, management, and staff have been negatively affected by the lack of consistent data-handling processes. In addition, a lack of current scholarly research on best practices in data quality and records management has obscured potential flaws within the relatively new electronic health records (EHR) environment. Mismanagement of health records data has been blamed for at least one death in 2016 alone. These changes affect cost, reimbursements, services, and most importantly, patient safety. The overarching focus of this study will be on best practices for data quality management in a healthcare system from the information technology leader perspective. A review of literature revealed a lack of empirical findings in what might be regarded as best practices relative to data quality and management in healthcare settings over the past 20 years. Qualitative measures will include 3 surveys distributed to a panel of 25 healthcare data quality experts. Participants involved in the study will be selected based upon their experience and roles with data quality within the healthcare setting. Qualitative methods applied in this study will include concepts of the Data Quality Assessment Framework (DQAF) and information theory. This study has the potential to affect healthcare data practices by returning insightful results on how industry leaders view and assess their data. The significance of this study will be to bring about positive social change through an increased awareness of current data practices, possibly leading to the adoption of standardized data quality measures throughout U.S. healthcare systems. The United States is on a population aging trajectory to reach 20% age 65 and over by 2030. The Administration on Aging (2013) reported the top three fastest-aging states, Alaska, Nevada, and Utah averaged a 50% increase in the population aged 65 plus from 2000-2011. Traditional research on costs in Medicaid 1915 (c) home and community-based service waiver programs have excluded this fastest-aging sector of the population, known as hyper-aging. This study will assess activities of daily living (ADL) and instrumental activities of daily living (IADL) and overall average cost per recipient in states with hyper-aging populations. This research will use multivariate regression analysis to identify statistical significance of functional identifiers and overall cost per recipient. Using a sample of 377 recipients, I will approximate the relationships, if any, of ADL and IADL with overall average cost per recipient found specifically in states with hyper-aging populations. To model the relationships found within the sample, if any, the Katz 6-item scale and the Lawton 8-item scale will be used for functional assessment along with a demographic survey. The findings from the research will address functional limitations specific to states with hyper-aging populations, which have been previously excluded from the literature, and their relationship to overall cost. The research implications promote positive social change in public policy and administration by signifying functional identifiers in the fastest aging states that can be used as a model to improve the future cost of services associated with care of the elderly as the U.S. reaches national hyper-aged status in 2030. The Walden Writing Center hopes to increase diversity within the writing center field and the Walden Writing Center by making changes to our recruitment strategies. One way to adjust our recruitment strategies is this grant’s project: a paid, 9-month internship, the Walden Writing Center Internship (WWC Internship). The student who completes the WWC Internship will be introduced to the writing center field and the Walden Writing Center; will participate in the Writing Center’s paper review appointments, student e-mail responses, an additional Writing Center project, and a student-driven final project; and will engage in professional development and discussion with Writing Center staff. These activities will all help the intern develop skills within the writing center field that they can use to further their career goals, either within the writing center or any other field. The education achievement gap between Black and White Americans is a pervasive issue that needs more research attention. The primary aim of this study is to examine exposure to racism via social media as a chronic race-related stressor that affects biological systems, which affects educational achievement, and contributes to race disparities in education. This study examines whether exposure to racism in social media affects young adults’ stress and immune system biomarkers related to stress and academic achievement, including cortisol and dehydroepiandrosterone (DHEA). It is hypothesized that frequent exposure to racism in social media will predict chronic stress responses such that cortisol and DHEA will increase from baseline. However, chronic racism in social media will predict cortisol dysregulation and discoordination with DHEA. This pattern should be enhanced or attenuated by individual differences including affective and cognitive appraisals, racial identity, and activist orientation. Sixty healthy young (aged 18-25) Black female college students will provide baseline questionnaire responses, baseline saliva samples in the lab, then collect 3 daily saliva samples at home (waking, 30 minutes post-waking, and bedtime) over the course of 3 days. Additionally, participants will complete a nightly questionnaire assessing social media use, exposure to racist content, stress and coping, and psychological well-being. The proposed study aims to advance understanding of daily exposure to racism on social media and its effect on stress reactivity that directly impacts educational achievement. Social media is a pervasive, but understudied, source of racial bias that contributes to chronic experiences of racism. If daily race-related stressors trigger cognitive decline and poorer test performance, this has significant implications for racial minorities’ academic achievement. Overexposure to racially biased social media may perpetuate race disparities in academic achievement and undermine education equality efforts. The results may inform media literature interventions to reduce exposure to negative race-based social media. This Program Evaluation aims to evaluate the effectiveness of an early-childhood chess intervention in children from immigrant families, to evaluate whether playing chess improves executive functioning in these children. Conducted within an after-school program for children, ages 4 to 16 years of age, at the Immigrant Family Services Institute, Inc. (IFSI) in the Metro Boston area of Massachusetts serving families from Africa and the Caribbean. In mainstream American society, men are not usually considered a disadvantaged or underrepresented group. However, when it comes to parenting research, the scales remain tipped in favor of mothers. The vital role fathers play in the lives of their children is receiving attention both nationally and globally. While fathers (biological, step, foster, and others assuming a male influential role) are taking on active parenting roles once reserved for mothers, educational and social support networking opportunities geared toward fathers are less common. This is especially true for fathers of children with disabilities, and nearly non-existent for fathers of children who are deaf or hard of hearing (D/HH). Additionally, there is a paucity of research available to guide professionals on how to provide family centered intervention services for children with hearing loss that appropriately include fathers. This is a significant problem as research identifies father involvement as a key factor in healthy child and family functioning, including language and literacy development. This proposed project, 30 Connections, addresses the three “Ds” of Dakota, Dads, and D/HH, and aims to: 1) provide a framework of support, education, and empowerment for fathers of D/HH children, 2) evaluate the impact of said framework, and 3) disseminate the findings. This framework will consist of both face-to-face interactions and a social media platform, combining to offer peer to peer support through educational topics, Q & A, sharing of experiences and advice, and networking. The project would employ two experienced fathers who would serve as consultants to project activities and facilitate participant interactions. Following ethical research practices, the impact of 30 Connections will be assessed through a pre-post instrument to measure change in fathers' perceived empowerment as well as satisfaction with the project in relation to confidently parenting a child who is D/HH. In 2015, the Centers for Disease Control and Prevention estimated around 50% of American adults experience one preventable chronic disease. Such diseases (cardiovascular disease, diabetes, hypertension, obesity, cancer) evolve from poor eating habits over the adult lifespan. America’s 3,142 rural counties struggle to care for over 40 million older adults. Many are home bound and rely on informal caregivers (spouses, adult children) for their healthcare. This study explores conditions that reflect the contextual and environmental relationships between older adults and their informal caregivers in rural America. Our mixed methods approach (qualitative and quantitative) presents a snapshot of complex social conditions between two subgroups. The home-bound element sets limits on the quality of life for older adults. 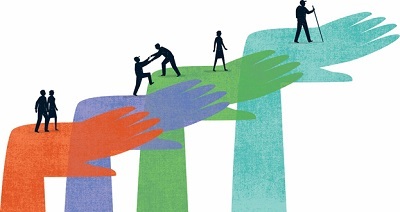 Informal caregivers have a direct impact on the quality of care for the older adult. Caregivers themselves may experience chronic diseases, an additional burden on the healthcare of older adults. Our study offers an extensive literature review of food policy, food education, nutritional health in older adults and their caregivers in rural America. The umbrella of rural food policy includes fewer grocery stores selling fresh food. The food education element occurs when caregivers prepare home-cooked meals. Basic nutritional health programs are missing in many rural communities. The quantitative element will further examine factors unique to rural areas and the unmet needs (counseling, training) of informal caregivers. The data set is the CDC’s Behavioral Risk Factor Surveillance System. This national public health resource includes a caregiver module and data from over 18,000 informal caregivers. Our cutting-edge study aligns with the Eldercare Workforce Alliance’s forecast for an impending care gap in chronic care for older adults. Our research may find key data to address two social concerns: 1) the growing need to serve more home-bound older adults and 2) help informal caregivers become better healthcare providers. This project explores the historical legacy and the contemporary manifestations of ethnic and racial intolerance, and misunderstanding of the “other”, in a community in northwest Washington State. Through a series of events at various sites for college and community, the project will seek to raise the awareness of both the historical and contemporary manifestations of prejudice and to contribute to an environment of understanding and compassion. A culminating e-book will feature the history, personal experiences, and voices from the community, as told through video, images, artistic expression. Nina Spadaro, Ed.D. is a Core Faculty for the Masters in the Clinical Mental Health Counseling program. Dr. Spadaro currently resides in Bellingham, Washington where she is a partner in a clinical and consulting practice, Impact Education & Therapy, LLC. A seasoned teacher and presenter she utilizes a multi-sensory approach to create dynamic impact in her presentations. She is an admirer of Dr. Alfred Adler’s approach, which promotes the development of social interest, exemplified by his model of community Family Education Centers which provided free group family therapy. In her creative fashion she offers Adlerian-style Kung-fu classes for families. The purpose of this qualitative study is to understand the decision-making process of disability disclosure and to explore the experiences of stigmatization among adult learners with disabilities enrolled in online programs. Additionally, it will explore how staff who work in the office of disability in higher education institutions perceive students’ disclosure and stigma in this learning format. Understanding how students’ perception of stigma interacts with disability disclosure in online programs may help academic institutions better meet these students’ needs, improve the quality of their academic experiences, and increase their retention and degree completion rate. Susana Verdinelli, Psy.D., is a core faculty in the academic psychology doctoral programs at the College of Social and Behavioral Sciences at Walden University. Susana has a Doctor in Psychology from Our Lady of the Lake University, a Master’s degree in School Psychology and a Master’s degree in Educational Psychology from the State University of New York, Buffalo. She joined Walden University as core faculty in 2010. Her research interests include disability studies, resiliency, qualitative methodology, psychological well-being, Latino psychology, and bilingual counseling. She has clinical experience at various community service agencies working with families, couples and children. She obtained the Faculty for Research Initiative Grant to conduct a study exploring students with disabilities reasons for enrolling in online programs. 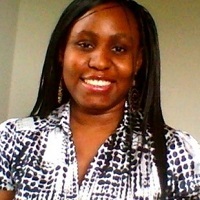 She teaches Qualitative Reasoning and Analysis, and various methodology courses. Carolyn Roney has worked in the field of higher education and disability for over 30 years. She has been Sr. Director of Disability Services at Walden University for 13 years. She held the same role for 12 years at a local state university and continues to work as adjunct faculty in their Disability Studies program. Ms. Roney has worked as a sign language interpreter in a college setting and has held various rehabilitation support roles at agencies in the Twin Cities area. Her Master’s degree is in Higher Education Administration from the University of Minnesota. This project seeks to improve our understanding with respect to how General Equivalency Development (GED) programs may influence student participation and success in postsecondary education. The project’s qualitative phenomenological design has been chosen to examine the experiences and perceptions of post-GED students regarding their preparation for, and participation in, postsecondary education. Andrea Helaine holds a Bachelor’s of Philosophy in Theology from Ave Maria College, an MFA in Creative Writing from National University, and is a Doctoral Candidate in the Higher Education Leadership program at Walden University. In 2016-2017, Andrea was chosen for an Education and Public Policy fellowship through UC Denver and proposed a workforce mandate in AEFLA funded GED programs. Andrea is a board member of the Colorado Adult Education Professional Association (CAEPA) and is a member of the Governor’s Education Leadership Council. Andrea began teaching adult education students at Colorado Mountain College and has remained committed to working with HSE/ABE students at Emily Griffith Technical College in Denver since 2014. She is passionate about creating equity in college and workforce outcomes for adult education students. The purpose of this qualitative study is to better understand the unique socio-ecological factors that influence individual-level Zika virus prevention practices of residents in four shantytown communities in Lima, Peru. Study participants will leave with increased knowledge of feasible prevention methods they can implement in their homes to reduce the risk of Zika virus transmission. Findings will also be shared with the Pan American Health Organization/World Health Organization and Peruvian Ministry of Health to inform future Zika virus risk communication efforts and prevention programs targeting shantytown communities in Peru, ultimately helping to reduce the burden of Zika in Latin America. Aimee Ferraro is an ethnographer, epidemiologist, and core faculty member in Walden University’s School of Health Sciences. She holds a dual B.A. in Biology and Psychology from Johns Hopkins University, an M.P.H. in Epidemiology from George Washington University, and a Ph.D. in Health and Behavioral Sciences from the University of Colorado at Denver. Her interest in infectious and vector-borne diseases began during her tenure as a CDC/CSTE Applied Epidemiology Fellow with the Pennsylvania Department of Health. She is currently conducting research on Zika virus knowledge, attitudes, and practices in Peru, where she has lived since 2008. Read more about Dr. Ferraro and her work here. The purpose of this study is to examine the experiences of HIV-positive community health workers who serve HIV-positive clients in the Washington, DC, to better understand why HIV-positive health workers choose to work with HIV-positive people; and to explore if the relationship between HIV positive Community Health Care Workers (HIV + CHW) and their clients is synergistic, in that the work is therapeutic for both worker and client, and that it may help to empower the HIV + CHW as an effective provider of health services and agent of social change. The potential positive social change impact of this study is that understanding why HIV + CHW choose to work with HIV positive persons and how they provide those services may help to strengthen the HIV/AIDS workforce through the development of effective CHW recruitment, training, and sustainability programs. Dr. Richard Jimenez is currently a full-time core faculty member in Walden’s College of Health Sciences where he teaches graduate students in Public Health, and supervises Ph.D. dissertation and Dr.PH doctoral study research. Dr. Jimenez received his Doctorate in Public Health degree from the University of Texas School of Public Health. 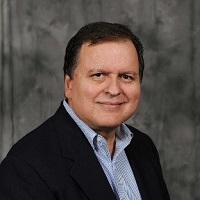 Dr. Jimenez has over 28 years’ experience in Public Health practice, teaching and research, including work as a Public Health Advisor at the Centers for Disease Control and Prevention in Atlanta, GA, and as Senior Research Scientist and Director of Patient Safety Research at the University of Texas Medical School in Houston. His research interests include program evaluation, infectious diseases, health disparities and the public health impact of medical errors and patient safety. Read More about Dr. Jimenez and his work here. We'd like to congratulate Walden's Richard Jimenez, Social Change Fellow and Core faculty member, for his 2017-2018 David A. Wilson Award in Teaching and Excellence, as recognized by Laureate Education! Richard's work, "Lived Experiences, Perceptions and Expectations of Asian and Latino/a Online Doctoral Students" is the basis for this award. Visit here to see all the winners. Dr. Phronie Jackson is currently a part-time adjunct faculty member at the University of the District of Columbia, where she teaches undergraduate students in Public Health and Psychology and serves as the evaluator for the University’s MSI/CBO SAMSHA grant. Dr. Jackson received her Doctorate in Public Health degree from Walden University in November 2016. Dr. Jackson has over 10 years’ experience in Public Health practice including, developing and implementing public health interventions, working as a Community Health Outreach Manager at the largest hospital system in Washington, DC, and as a Program Coordinator for a 5 year national HIV/AIDS Prevention grant foundered by the Centers for Disease Control and Prevention in Atlanta, GA. Her research interests include health equity, program evaluation, health disparities, and the public health impact of gentrification on underserved community populations. Dr. Faith Foreman has served as a Contributing Faculty Member in the Walden University College of Health Sciences for more than 10 years as a doctoral research supervisor and scholar. Faith is a graduate of the University of Texas School of Public Health and Texas Southern University. She also has a license to practice nursing in the State of Texas. Dr. Foreman is a seasoned public health practitioner and academician. An expert in public and community health promotion, evaluation and planning, Faith has lead the design, implementation and evaluation of numerous health interventions at the local, state and federal level. She has managed staff in public and not-for-profit health centers, as well as lead multi-disciplinary teams in conducting large scale community assessments and interventions. The purpose of this study is to explore the potential strength of association between health system building blocks and access to three life-saving maternal health medicines in low and middle-income countries. Findings from this study will highlight the complexities that underlie making essential medicines for maternal health available and accessible in low and middle-income countries. Depending on the analytic results, priorities for policy-making will be offered, and the study could help reduce the number of women dying from pregnancy-related causes. Dr. Nnorom is a wife, mum, and full time doctoral candidate at the department of public health in Walden University. Dr. Nnorom holds an MPH degree from Nigeria’s prestigious University of Ibadan, and a Ph.D. from Walden University. She has spent the last 10 years working with Ministries of Health, International Agencies, and community organizations to facilitate institutional reforms and strengthen health systems in Africa. Dr. Nnorom recently served as a Senior researcher and consultant to the United Nations where she engaged successfully with regional, national, and international stakeholders to promote community engagement and design strategic frameworks and policies that helped shape, coordinate and improve effectiveness of HIV/AIDS, Maternal Health (MH) and Reproductive Health(RH) Interventions. Read more about Dr. Nnorom and her study here.